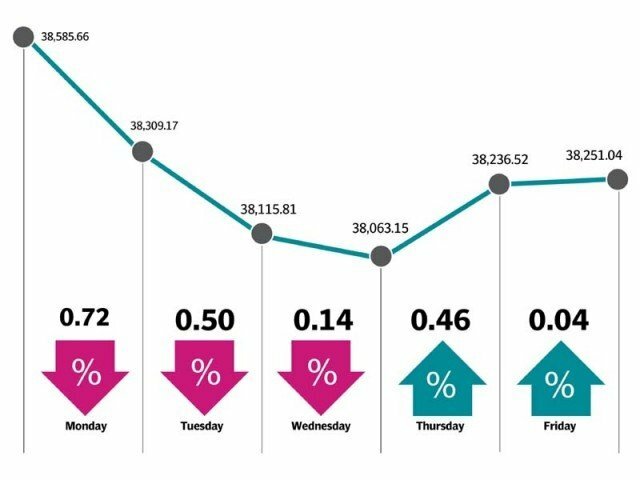 KARACHI: The stock market endured a lacklustre trading week where negative sentiments pushed the benchmark index down 355 points or 0.87% to 38,251. The week kicked off on a negative note as investors preferred to remain on sidelines due to a bleak economic outlook and expected poor corporate earnings. A bit of commotion was caused in the corporate sector after an announcement at the Pakistan Stock Exchange (PSX) of the withdrawal of public announcement of intention (PoI) to acquire 18,336 million shares or 66.4% stake in K-Electric by Shanghai Electric Power. The news may be misunderstood by many. Although by the end of the week the announcement of $3-billion financial assistance by the United Arab Emirates (UAE) lent some support to the index, it could not alter the dreary outlook. On the economic front, the State Bank of Pakistan’s (SBP) reserves rose $788 million (11%) to $8 billion, driven by the release of $1 billion in aid by Saudi Arabia, and the current account deficit came in at $1.26 billion in November 2018, which was in line with expectations. While the deficit was relatively flat compared with the preceding month and showed a 13% year-on-year decline, led by a slowdown in imports, uneasy sentiments over political developments kept the index in check. During the week, Pakistan and China signed an agreement on expanding industrial cooperation in diverse fields and attracting investment in Special Economic Zones (SEZs). Among other news, the Federal Board of Revenue (FBR) evolved a comprehensive plan for tax reforms to increase revenue collection in next six months of the current fiscal year. The government and a consortium of Islamic banks also agreed to launch a bond of Rs200 billion, called the Pakistan Musharaqa Sukuk, by mid-January to support the power-sector entities facing cash constraints due to a chronic circular debt. 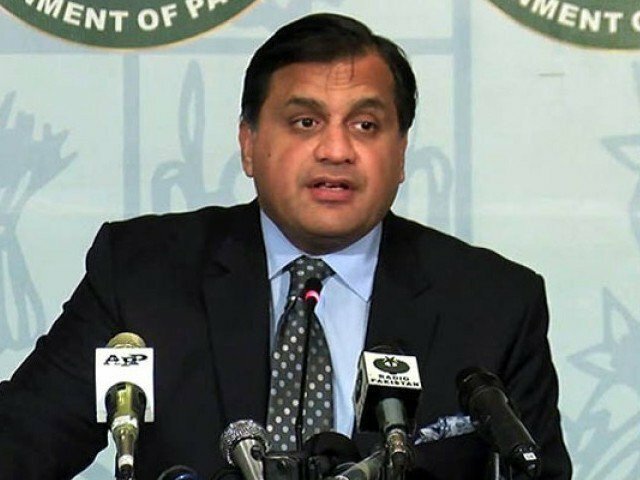 Moreover, a UAE government-owned petroleum company communicated that it was working on engineering studies for setting up a refinery in Pakistan at an estimated cost of $6 billion. Investors, however, seemed to be less excited about the development. On the global front, world markets recorded a sharp decline in the past few sessions on concern over a trade dispute between the US and China and rising US interest rates, which act as a brake on global economic growth as the US dollar strengthens. On the other hand, British Prime Minister Theresa May was facing an uphill struggle in parliament as Brexiteers within her cabinet and outside critics claimed a no-deal Brexit was likely. Weakness in global markets, plummeting crude oil prices and unimpressive domestic cues had a negative impact on the Pakistan bourse. Investor participation fell as average daily trading volumes during the week settled at 105 million shares, down 13.4% week-on-week, while average daily traded value came in at $33.9 million, down 16% week-on-week. In terms of sectors, negative contribution to the index was led by oil and gas exploration companies (down 374 points) with international oil prices hitting a 17-month low this week, commercial banks (177 points), insurance firms (14 points), pharmaceuticals (10 points) and miscellaneous (8 points). Stock-wise major laggards were PPL (down 176 points), HBL (120 points), Pakistan Oilfields (99 points), OGDC (76 points) and FFC (42 points). On the flip side, the sectors that contributed positively were tobacco (up 78 points), food and personal care products (30 points) and oil and gas marketing companies (25 points). Foreign investors offloaded stocks worth $12.2 million during the outgoing week compared to net selling of $12.9 million last week. Selling was concentrated in commercial banks ($4.5 million) and exploration and production companies ($2.7 million) while brokers remained net buyers of $1.24 million worth of shares. Published in The Express Tribune, December 23rd, 2018.